Carlo Lamberti, Professor at the University of Turin (Italy) and a champion in the application of x-ray absorption spectroscopy and related techniques in materials science, suddenly passed away on February 1st 2019 while attending at a conference in Oslo. Carlo was a physicists by training and in the course of his outstanding career worked on zeolites, metal-organic frameworks, semiconductor heterostructures and related fields. His research was characterized by extensive use of XAS and related methods. He was a very frequent user of the ESRF and had been chairman of one of the beamtime allocation panels. His publication record is quite exceptional; along with a great number of original papers he wrote several reviews and edited a number of important books. Carlo’s first use of synchrotron radiation goes back to 1994 in Frascati with an experiment on Ti-silicalite, the related paper being one of his most cited. Carlo was always very collaborative and could provide valuable input in discussions many fields; his presence at a conference session guaranteed a lively and insightful discussion. He had mentored many young scientists who are now on course of successful careers. In recent years he had also held a position at Rostov State University (Russian Federation). His ashes now rest under an olive tree in the family’s house in the countryside near Turin. He will be sorely missed by the scientific community. The Commission on XAFS was established at the Seattle General Assembly in 1996. In the following by XAFS is meant the fine structure associated with the inner shell excitation (both near edge and extended) by various probes (e.g., absorption or scattering of X-ray, electrons), and related techniques for which the data is interpreted on the same physical basis. To promote the development and acceptance of standards and criteria in XAFS measurements and analysis so as to improve the overall quality of the research being performed in the field. To interact with the organizing committee of the International XAFS Society to contribute to the organization of the biannual International XAFS meetings. To increase the interaction and coordination among researchers who are involved in XAFS research. 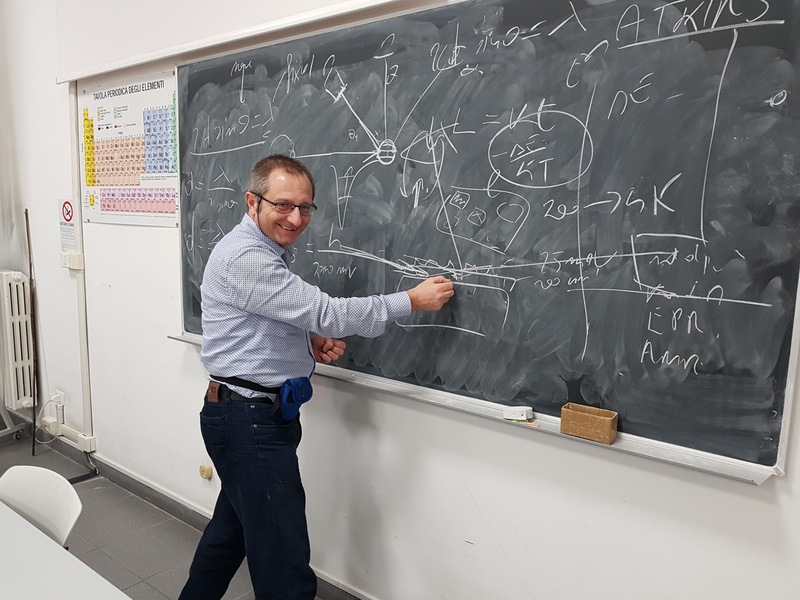 To increase the interaction between researchers in the XAFS field and other groups in the IUCr who have the common goal of understanding the structure of matter and its relation to properties. To promote the improvement of the experimental facilities for XAFS at synchrotron sources. To help develop courses to teach the advanced techniques of measurement and analysis of XAFS. To cooperate with other Commissions of the IUCr in establishing adequate guidelines and standards for articles to be published in IUCr journals reporting structural investigations of materials. To advise the IUCr on organizing or sponsoring sessions on XAFS at Congresses. To coordinate a database on XAFS with IUCr.